I was awarded a scholarship from the School of Social Sciences. It was a very proud moment for me. "I was born and raised in Nigeria and as much as I love my country, I always dreamed of coming to live and study in England. I found NTU through searching for a course in MA Public Health. I knew that I wanted a course that was taught from a social perspective rather than the more common biomedical perspective. I also wanted to study somewhere that had a diverse background and could offer an education based on global practice and not just British. When I found NTU I knew I had found the right place. Not only did they offer the things I was looking for but they encouraged me to apply for scholarships and funding and I ended up being awarded an international scholarship from the School of Social Sciences. It was a very proud moment for me. "When I arrived at NTU I got involved with campus life straight away. I went to ALL the welcome activities and started meeting people and making friends straight away. The city and campus are both beautiful and peaceful places. I've been to London and travelled all over the UK but Nottingham is still my favourite place. It's so easy to work, study and live in a city like this. It's so vibrant and diverse and it's impossible not to meet new people and make friends. "A foreign education is proving to be really useful. I've learned so much in just one year that will stay with me a lifetime. My course is setting me up for a solid career in public health. I have always said I want to be an agent of change, someone who can really understand and solve public health issues from a social perspective and my course at NTU has really equipped me for this. 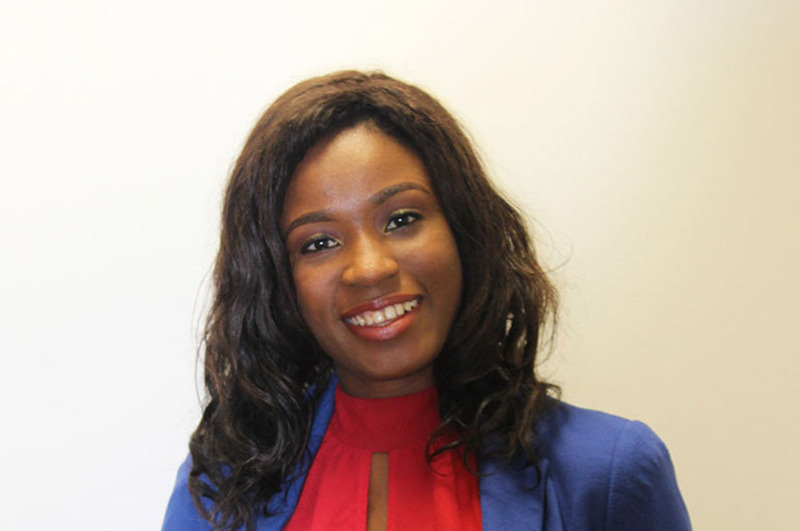 "Studying in the UK has been very different to Nigeria but in a positive way. The biggest difference is the facilities, for example they have support for everything you might need here – from essay writing to finding a part time student job! Also the atmosphere with your lecturers – they are always on hand to help and support you and it doesn't have to be too formal. For example, my course leader Linda Gibson is not just a teacher but also a mentor. She looks after her students both academically but also like a mother, helping those that are struggling or missing home. She has made NTU like a home from home to me and I'm very grateful to her. "My advice to those thinking about studying at NTU is do it! You will learn so much but not just academically, NTU will help prepare you for life too. It's an opportunity you will never regret."